Visitors to Stanford University’s library in California will be able to see letters, manuscripts, drawings and photographs from the Russian author’s legacy. The collection also includes rarities, such as a 900-page samizdat edition of poetry that Brodsky wrote before leaving the Soviet Union, as well as a copy of a letter from the writer to Brezhnev. 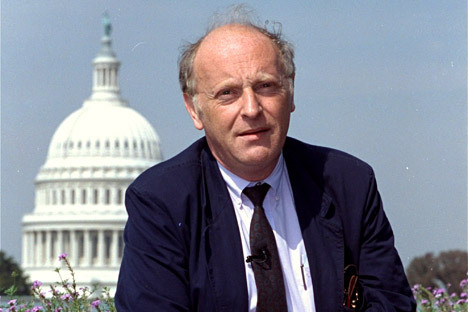 The library at Stanford University will give its visitors access to the Lithuanian archives of the poet Joseph Brodsky, according to an article in Stanford Magazine written by Cynthia Haven, the researcher and editor of the book “Joseph Brodsky: Conversations.” The university library received Brodsky’s collection of letters, manuscripts, drawings, photographs and postcards from Vilnius in May 2013. Altogether, the archival papers weigh around 110 pounds. In addition to personal papers, manuscripts and typed sheets, the collection includes a 900-page samizdat edition of poetry that Brodsky wrote before leaving the Soviet Union; Russian writer Vladimir Maramzin compiled and wrote the preface to the collection. The Lithuanian archives also contain documents the poet gathered in order to obtain permission to emigrate, including the copy of a letter to Leonid Brezhnev. Joseph Brodsky’s papers—which he left in Vilnius with his friends Ramunas and Ele Katilius—were sold to Stanford after Cynthia Haven visited Lithuania in 2011 and met with the couple holding on to them. She writes that Ramunas, a physicist, was looking for a new repository for the documents the poet had entrusted to him. “The drawings are absolutely unique. Many typed texts of the poems are presented with important handwritten notes. The typewritten copy of ‘A Stop in the Desert’ [Brodsky’s poetry collection, which he compiled] is also totally exceptional. All the copies in the collection are superb: On the open market, they would easily sell for double the price,” says John Wronoski, an expert on modern European literature.